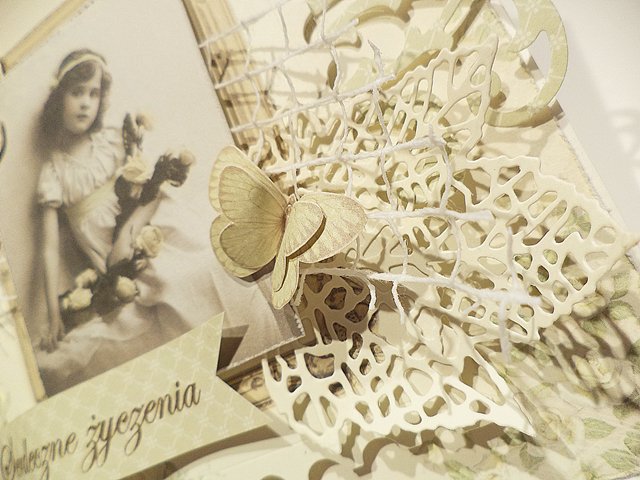 Here is a girly soft and romantic card made from the Vintage Wedding papers together with a vintage image. 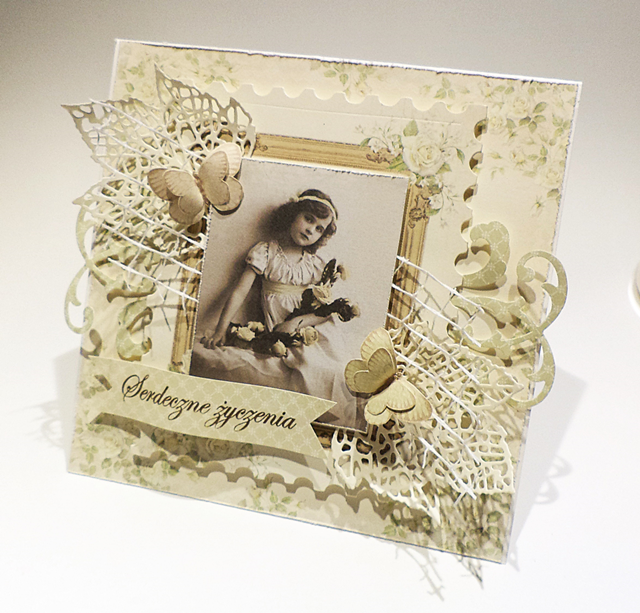 How soft and lovely is this card, Marzena! Love the diecuts, butterflies, the gentle color, and the lovely image! !